The countdown is on for the Society for Human Resource Management (SHRM) 2017 Annual Conference & Exposition! Set to take over New Orleans on June 18 to 21, SHRM will welcome thousands of vendors, suppliers, industry experts and HR professionals from around the world for a fun, inspiring and engaging HR event that provides conference-goers with the information and tools needed to take their organization to the next level. That’s where we come in. 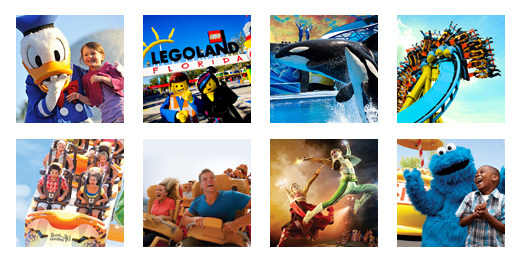 Visit TicketsatWork Booth #3047, in partnership with Universal Orlando Resort™, and learn how we help employees save big on thousands of travel and entertainment experiences as they plan for their next vacation. With SHRM 2017 less than a week away, TicketsatWork correspondent and HR professional Dan Cross interviewed Brett Reizen, President and CEO of Entertainment Benefits Group (EBG), the leading travel and entertainment provider in the United States, including the nation’s largest corporate benefits program, TicketsatWork. Check out the full interview on SHRM’s official blog here. And, be sure to follow TicketsatWork for SHRM updates and an exciting sweepstakes.